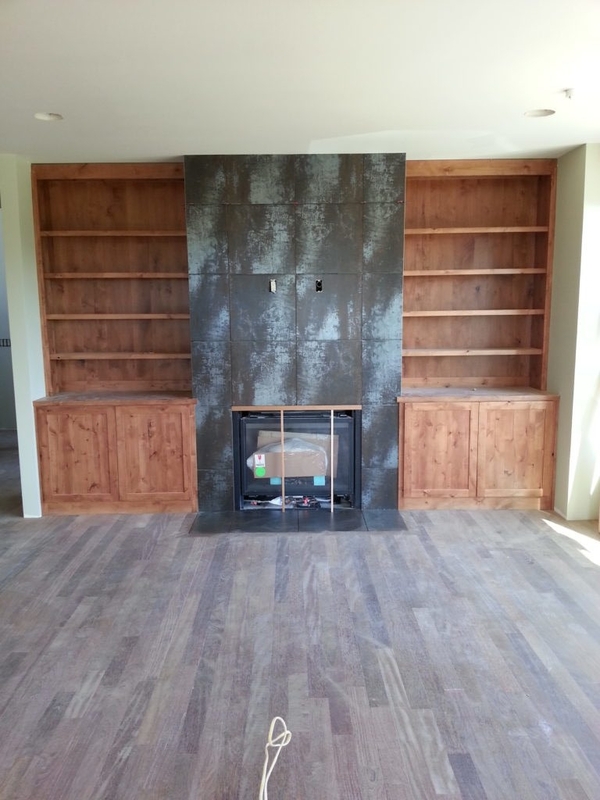 The large metallic fireplace tile, by Statements Tile, is centered between the knotty alder bookcases to create a focal point for this family room. The metallic tile finish reflects the natural light and enhances the balance of all the other colors of this comfortable family room. It’s the perfect place to cozy up with a good book, maintaining the warm, inviting feel that all living spaces should have.